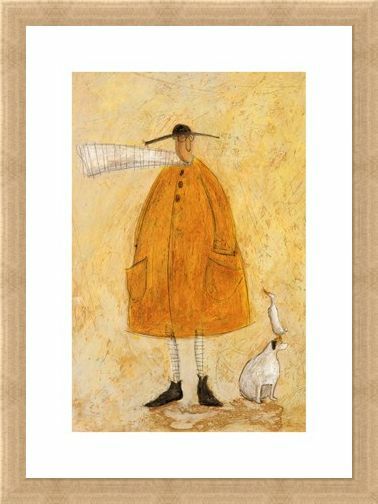 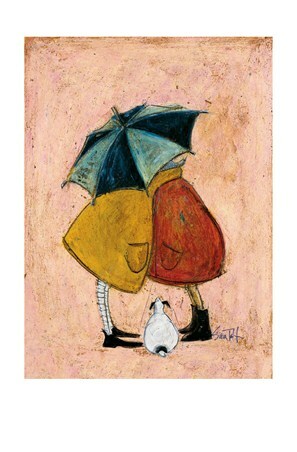 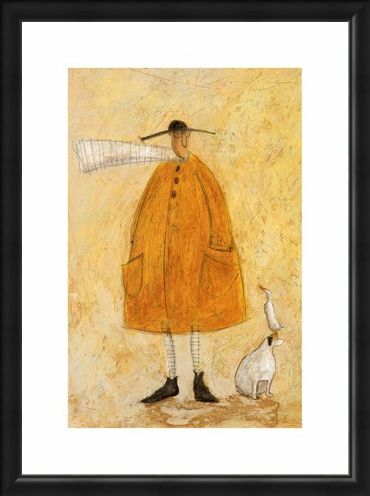 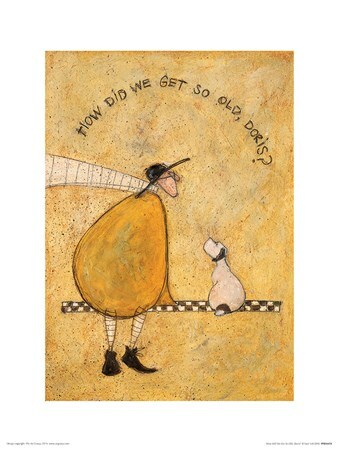 Art Print: If you are a fan of British artist Sam Toft's 'Mr Mustard' pictures, then no doubt you'll be familiar with his trusty animal companions 'Doris' the dog and cheeky 'Horace' the duck. Standing here in his mustard coloured coat, favourite scarf and matching socks, Ernest looks like he is all set to go on one of this walks along the beach. 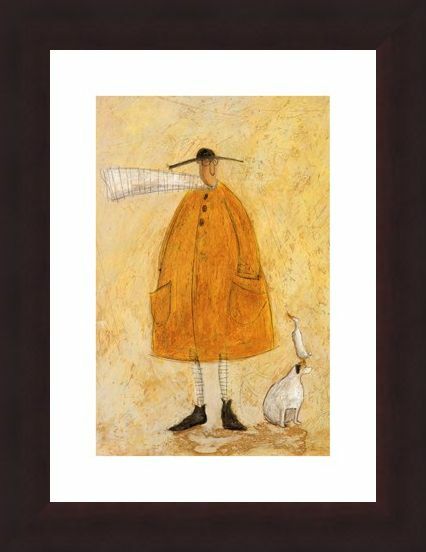 The beautifully textured background of beige shades would make this art print an interesting and charming addition to any wall. 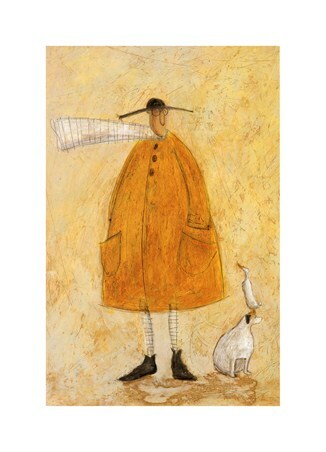 High quality, framed Mr Mustard and the Dog and Duck, Sam Toft print with a bespoke frame by our custom framing service.